The QGSSSA Cricket competition is underway, with the first round of games played on Wednesday 6 February 2019. Of course, with the cricket inevitably comes the rain, and four of the six scheduled games were washed out. These games will be played later in the season. 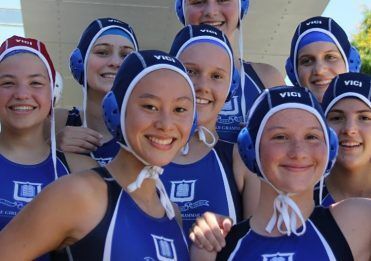 Nevertheless, the stoic Open team played Ipswich Girls’ Grammar School (IGGS), while the 1A team played St Margaret’s Anglican Girls School at Rangakarra Recreational and Environmental Education Centre. The Open team used the long journey into the West to prepare their game plan, and executed it to come away with a win. Bowling first, the girls restricted IGGS to 8/69 from their 14 overs. Alice Barker (9R) and Amreen Kahlon (8B) took three wickets each in a superb bowling performance. Alice backed this up with 22 runs (not out) in a team total of 9/71. 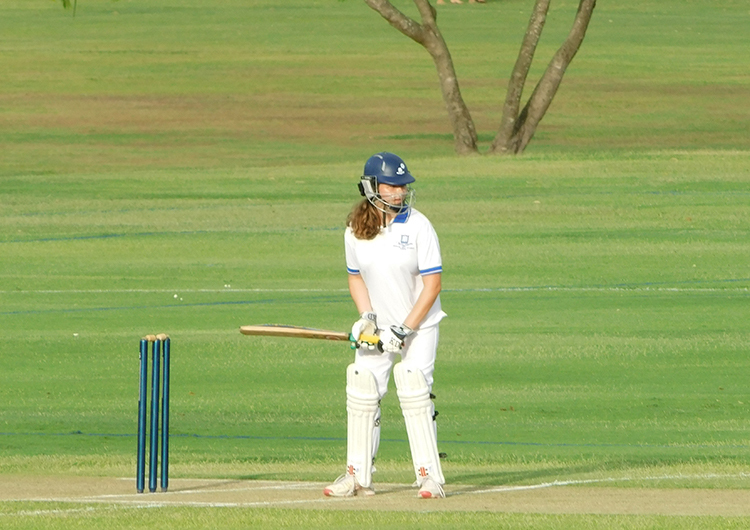 She was supported by important contributions from Lucinda Myers (10W), Erin Appleyard (8W) and Elizabeth Choo (10M), as they reached their target with only four balls to spare and one wicket in hand. At Rangakarra, the 1A team bowled first against St Margaret’s Anglican Girls School, restricting them to 3/46 from 14 overs. This was due to some exceptional bowling by Bridget Morton (11B) with 1/4 from two overs and Lara Elliott (9B) with 1/5 from two overs, as well as an exciting run out by Kate Redmond (8L). The run chase demonstrated 1A’s dominance, reaching 3/57 in only 8 overs. Zoe Pearson (9O) and Isabella Peters (9E) got the team of to a flying start before Grace Crilly (11E) brought them home with 17 (not out). 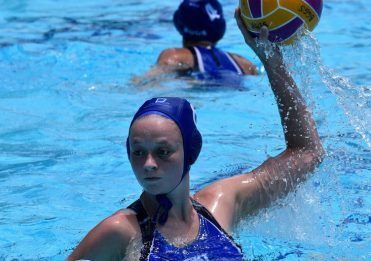 Next week the Open team plays Clayfield College at Nudgee, while the 1B team travels to St Margaret’s Anglican Girls School and all three Division 2 teams compete at Kianawah Park. The 1A team has a well-deserved Bye. While we have been busy training, Cricket Captains, Emily Bowden (12M) and Portia Ward (12W), have also been preparing for Pink Stumps Day, to be held at Rangakarra on Wednesday 20 February 2019. 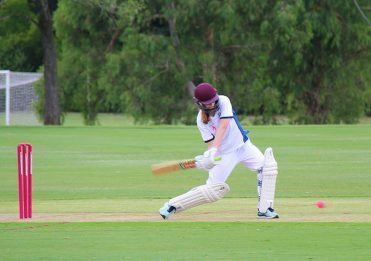 Each year the Brisbane Girls Grammar cricket squad supports the McGrath Foundation by hosting Pink Stumps Day. Money raised by the McGrath Foundation funds approximately 117 breast care nurses around Australia, who have supported more than 50 000 families. More information regarding this event will be available next week.